We have a great team at Sun Oak Senior Living. We invite you to get to know them and come meet them in person. 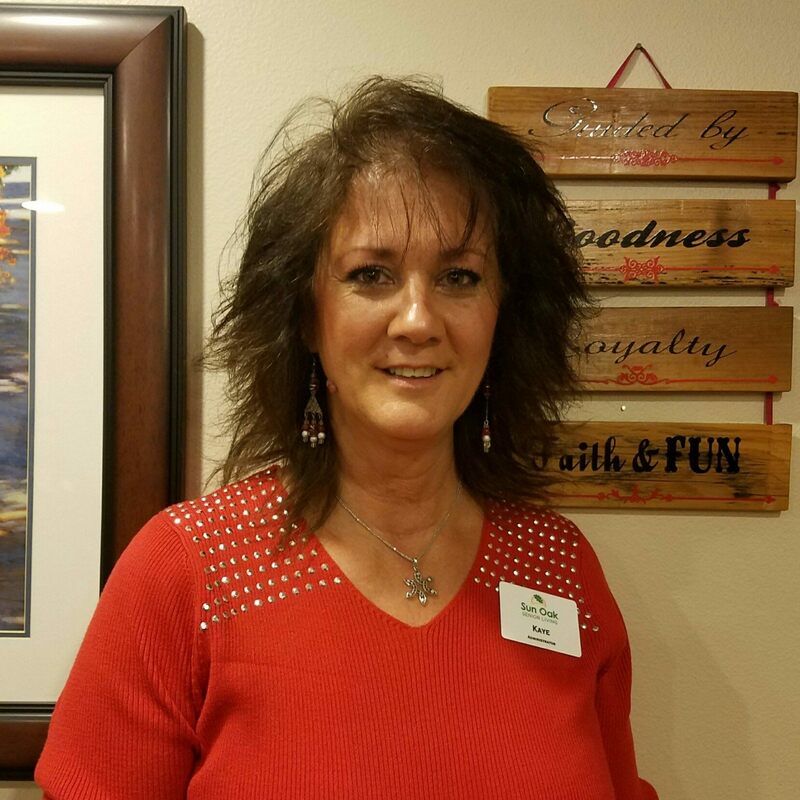 Originally from Australia, Kaye is a certified nursing assistant who has worked in hospitals and skilled nursing facilities before coming to Sun Oak. She has been a caregiver since 1979. Sun Oak is her home now because it’s “the perfect size to be more intimate with the residents, their families and staff.” She loves her residents’ sense of humor, their hugs, smiles and thank you notes. 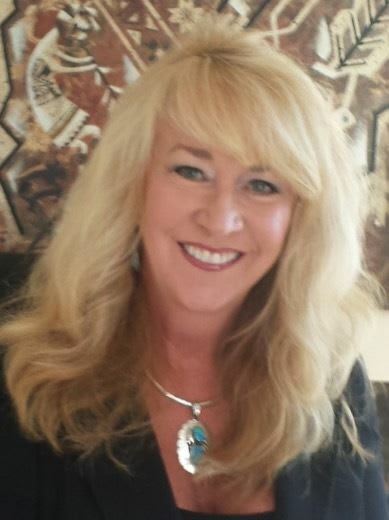 Eileen comes to us with more than 20 years of combined marketing, community relations and operations background. You can tell Eileen has a genuine interest and compassion for serving seniors. She’s not only a wonderful listener, but also attentive in understanding unique desires and interests in Sun Oak residents. Eileen says, "Assuring thoughtful guidance, personalized solutions and peace of mind in helping residents and families make the best informed decision is our philosophy." Eileen loves the gift of getting to know all of the residents and their families. She says coming to work every day brings a big smile to her face! Kaila Mohan started in our Sun Oak family as a Medication Assistant in 2013. In her time here she has been a real delight--forming relationships with the families, residents and the staff. 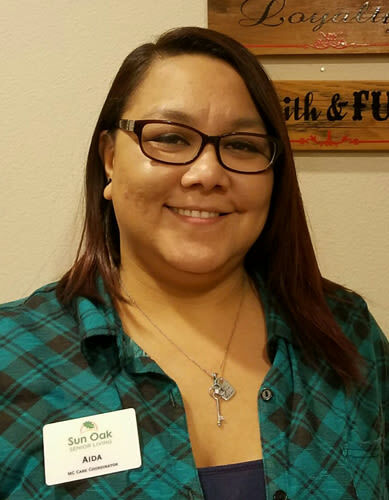 She embraces a fun-loving, creative, and optimistic environment here at Sun Oak. 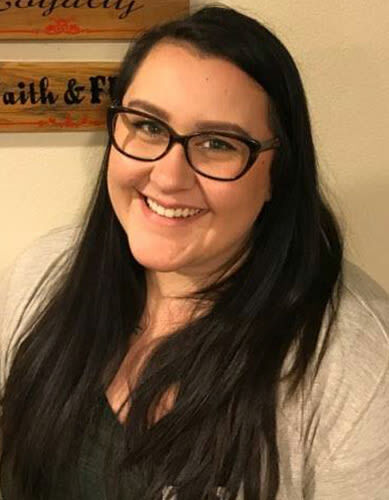 Kaila strives daily to implement the importance of human connection, laughter and understanding into the lives of those around her. “Seeing the residents making new friends and hearing their laughter throughout the building brings nothing but joy to my heart. I know that this is where I am meant to be.” Her goal is to make the transition from home to Sun Oak as comfortable and exciting as possible with the vision of friendship and lifelong memories. 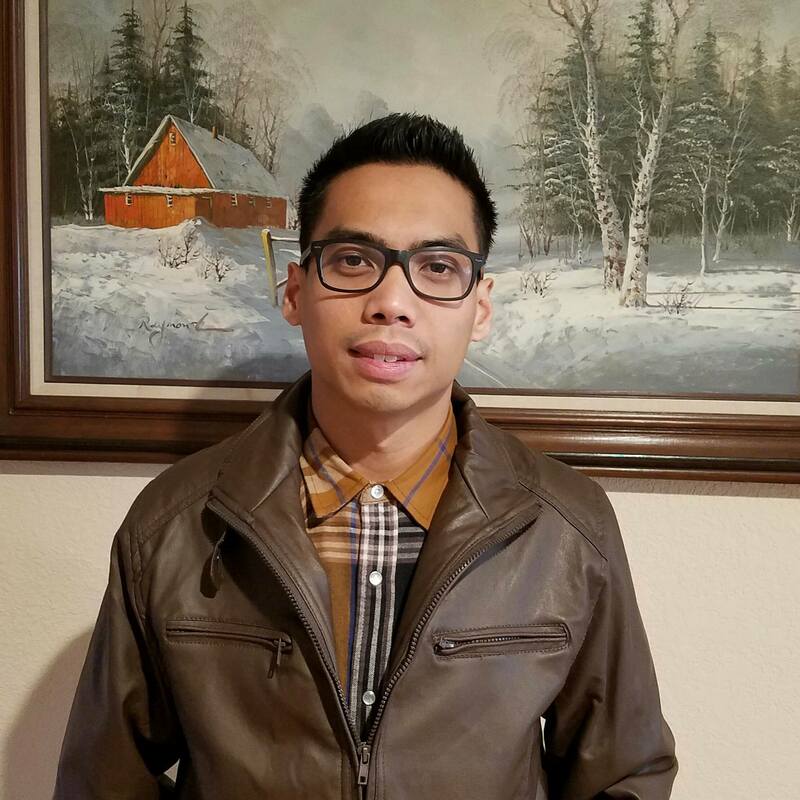 Raffy was born in the Philippines and migrated to the US with his family when he was 12. He has worked in senior living for over 6 years. His previous titles include CNA, Medical Technician and Activity Assistant. He has a three year old daughter who he says is his inspiration. In his free time, Raffy enjoys dancing, singing, sports, travel and music. When asked what Raffy likes most about his job he replied, "I love making people happy every single day. Their happiness is my pleasure." Amani grew up in the Kongo and when he was 9 years old his family migrated to the United States to pursue the American dream. 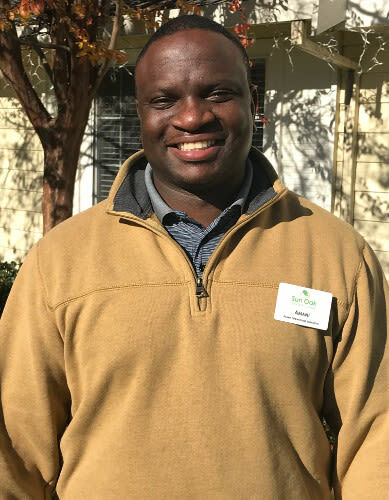 Amani now finds his dreams answered here at Sun Oak Senior Living. “Working with the elderly makes each day unique. I come to work with a smile on my face and my tool belt ready and waiting to embrace their day’s needs and help them feel safe in their environment.” When Amani is not at work exchanging laughs and new ideas with his residents, he is at home enjoying the presence of his wife and their beautiful daughter. He also couches track and field at the local high school. Amani states that Sun Oak has taught him a lot about love and what it means to work with a team-this is his home away from home.